Wac Arts has always been a huge advocate of collaborative working. It has been the approach that has helped us provide exciting range of activities and performing arts training for children and young people. In March 2017, we were awarded the Camden Council Contract for Short Breaks for 3 years which has been funding our after school and weekend clubs where young people engage in arts, media, and inclusive sport activities in a safe surrounding. We partnered with KIDS and PACE to secure this funding for our organisatins and so that we could together support young people to develop new life skills, grow confidence and most importantly, have fun in a safe and supportive environment. KIDS have just moved into the Wac Arts building as Wac Arts fills the Old Town Hall with organisations that share our ethos and make for an even stronger and valuable partnership. 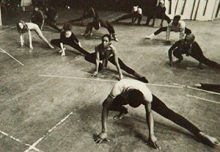 This isn’t the first collaboration for Wac Arts, partnerships and collaborations have always been in the soul of the organisation. Knowing the benefit and power of combining knowledge and resources, Wac Arts makes the most of working with other organisations where possible. We are proud of have been working with Upswing for more than three years now. Upswing, a contemporary circus group, delivers a special assessed module in aerial on the 3 year Diploma in professional Musical Theatre course at Wac Arts. It has also collaborated with Was Arts in past to deliver InFlight, an aerial training programme, funded by Arts Council England, to bring Aerial skill to young people completely free of charge! Be it our partnership with Upswing to create the ingenious InFlight programme or with another recent partner, Strongback productions to deliver holiday drama programmes for the young people, Was Arts has always supported the idea of collaboration to serve as a creative hub where young people build confidence, artists connect, and other arts and cultural organisations thrive. Over the recent years, collaborative working has been widely appreciated and adopted by a number of non profit arts organisations (Although this is not limited to charities as start ups and in some cases corporate organisations are seeing the benefits of collaborative working). With the ever increasing economic pressures on charities, as funding continues to be extremely competitive especially within the arts, there is a strain on the charities to run large projects independently. The need of efficiency, effectiveness, and the desire of achieving something impeccable has lead to the acceptance of collaboration on a much broader level, understanding and embracing the benefits of collaboration is key to a projects success. Amy Poehler renowned American Actress, voice over artist, director, producer at her speech at Harvard University 2011. 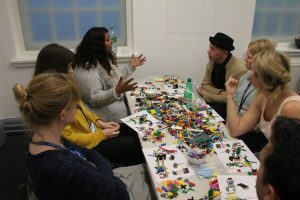 Collaboration is the one solution that can help all organisations but especially arts charities working to produce innovative arts programmes for young people to fulfill their artistic mission with a limited financial resource. These organisations can work with other nonprofit organisations, communities, businesses to reach a solution that reflects positive outcomes for the both the contributors. Collaborations in the charity sector have been prominent since the late noughties. Back in 2009, the West End announced a unique partnership with Mousetrap theatre projects. For every 100 tickets sold through West End website, the company decided to fund the purchase of one ticket for Mousetrap Theatre Projects. 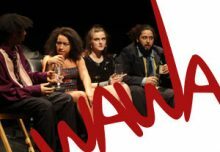 As per an estimate, close to 1000 young people are given the opportunity to attend outstanding West End productions each year, including the young people from Wac Arts. These trips to theatre not only help young people build interest in performing arts but also enhance their literary knowledge, appreciation of the arts and to have social and cultural experiences. These opportunities through the traditional school system are becoming less dominant as the focus moves away from arts to academia. It gives give young people a healthy environment to connect and share their views and thoughts on different subjects. As per a research, young people who attended live performances of plays like Hamlet and a Christmas Carol scored higher on the study’s tolerant measure as compared to those who read the books. They were also able to recognise and appreciate better what other people think and feel. This example brings to light not only the new opportunities for organisations looking for successful collaborations with charities, but also the wonderful outcomes benefiting the masses. Collaboration is the way forward to bridge the gap between what an organisation would what want to do and what they can actually do, as well as to eliminate the logistic barriers from the road of training young people with disabilities. Wac Arts embraces the potential that is created in collaborative partnerships and recognises when friends collaborate in exciting ways. 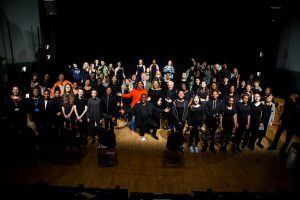 The Royal Central School of Speech and Drama has been partnering with Access All Areas, a learning disability charity, to deliver a Performance Marking Diploma since 2013. 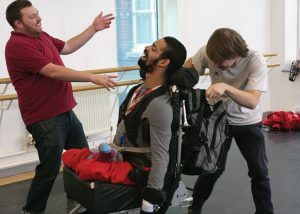 The project combines their knowledge of high quality performing arts training with Access All Area’s knowledge of working with adults with learning disabilities and is a collaboration that Wac Arts find inspiring. Creating partnerships to secure funding, working together to produce top notch programmes, creating opportunities for young people, or sharing knowledge to reach large audiences looking for performing arts training are few of the examples how a nonprofit organisation can collaborate with a partner to survive and thrive in today’s economic and political climate. This need of collaboration is even more requisite for the charities working to deliver performing arts training to young people with disabilities. Nonprofit organisations working solely to provide performing arts skills for young people with disabilities are at a back foot as the funders prefer to work with charities that have multiple areas of expertise and not just one. Wac Arts will continue to collaborate to create creative communities that learn, play and have an impact together.